We are dedicated to providing a superior product for as low as possible price, without sacrificing quality in the process. Quality control is of the utmost importance to us because our reputation means everything in a business where people know you by name, not your face. 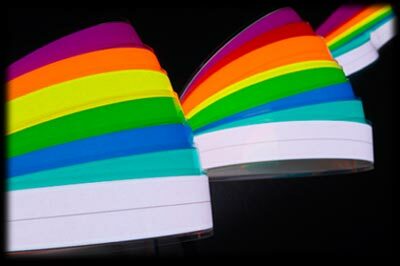 Since the beginning, Californeon, has worked hard to build its' reputation as a manufacturer of the absolute best products money can buy. Although constantly cloned, but never equaled in Quality or innovation, Californeon will continue building relationships together towards an Exciting future in the lighting industry! Prices are subject to change without notice and orders calling for future delivery will be billed according to the price in effect at the time of the order placement. Written quotations automatically expire thirty (30) calendar days from the date issued and is subject to termination by notice within that period. If this quotation is accepted and Buyers' order form is used for the purpose, it is expressly understood and agreed that the terms and conditions herein set forth in such order form, and the issuance of such order by Buyers' assent to the forgoing. All orders require a 50% down payment, and balance is due prior to shipping. All prices are F.O.B. our factory located in Los Angeles, California. Unless otherwise specified, orders will be shipped via U.P.S ground. An order once placed with and accepted by us can be cancelled only with our consent and upon terms that will indemnify us against loss. Buyer is financially responsible for all work-in-progress, material on hand and/or on order in the event of cancellation, schedule extension or charge. A 30% restocking charge will apply to all such cancellations. Due to the nature of our product, in that the materials can be mis-handled by the end-user, ALL SALES ARE FINAL. In the event you receive defective merchandise, you must contact Californeon within 20 days of ship date. At the discretion of Californeon, the item may be requested to be returned for inspection prior to replacement. Refunds are determined by and at the sole discretion of Californeon. 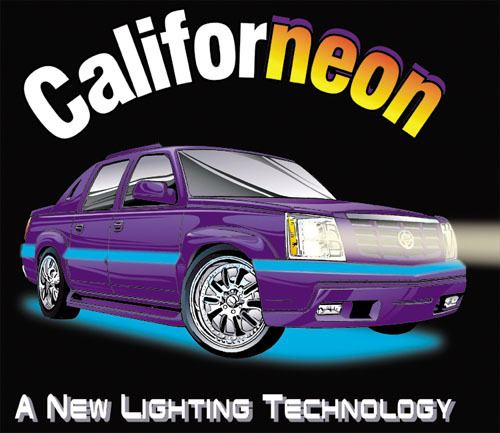 Californeon warrants our EL Lighting System, including all components to be free from defects in material or workmanship, under normal use and service for a period of time specified for the particular installation. In the events of a defect in material or workmanship during the warranty period, Californeon will repair or replace (at its option) the defective product under the conditions for this warranty. We will not be responsible for installation or replacement labor. Californeon will also not be responsible for any product subjected to inappropriate application or modified in any way that is not accordance with Californeon installation instructions. This warranty is in lieu of all other warranties including without limitation any implied warranties of merchantability or fitness for a particular purpose. In no event shall Californeon be liable for indirect, incidental or consequential damages, whether in contract, strict liability, or in tort including negligence, nor for lost profits. Californeon must receive a warranty card filled out in its entirely the day the system is activated and signed by the electrical contractor or owner's agent. @ Copyright Californeon.com. Website design and hosting by LTTF.com. All Rights Reserved.